A man who cut his arm off with a chainsaw is recovering in hospital after having the severed limb reconnected in 14 hours of surgery. 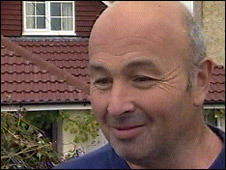 John Stirling was gardening at his house in Telscombe Cliffs, East Sussex when the accident happened on Monday. He kicked on the door of neighbour Steve Francis who dialled 999 and kept the limb in a bag of frozen pastry. Mr Francis said: "My first impression was it was a joke. Then I looked down at his arm and saw there was no arm." He said: "After that, it was just like 999 and call the ambulance. "I talked to them, put a belt around his arm, and they just talked me through it." When the ambulance crews arrived, they realised the arm was still in Mr Stirling's back garden where he had been cutting down trees, he added. Mr Francis said: "The ambulance men were working on him. So someone had to go and get the arm. "I just went up the road and got the arm, put it in a bag and put it in with some pastry." And he added: "It just happened. Anyone would do exactly the same." It is thought the chainsaw slipped, leaving Mr Stirling with his arm cut off below the elbow. Mr Stirling was taken to the Royal Sussex County Hospital in Brighton before being transferred to the Queen Victoria Hospital in East Grinstead, West Sussex. He had specialist emergency surgery on Monday night and a spokesman at the hospital described him as being "very well" on Tuesday. "He is comfortable and the early indications are that the procedure went well," the spokesman added. South East Coast Ambulance Service was called to the house in Ambleside Avenue just before 1115 BST. A spokeswoman for the emergency service said: "It was a traumatic injury which caused a lower arm amputation."